Krrish 3 is one of the most expected Bollywood movie which is slated to be released in November this year. Today, Microsoft has officially launched the Krrish 3 game which is exclusively available on Windows smartphones and tablets. 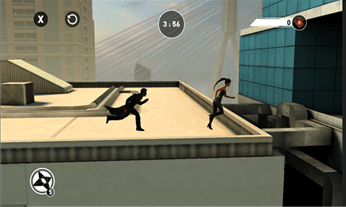 Krrish 3: The Game is developed by Hungama Digital Media Entertainment and Gameshastra and provides the users with the taste of all the Krrish 3 actions with some great graphics. The game is set in the backdrops of Mumbai and has 6 levels. The game also lets the users to fight as one of the 4 movie characters like Krrish, Kaal, Kaaya, and Frogman. You can download Krrish 3 the Game from Windows Phone Store.